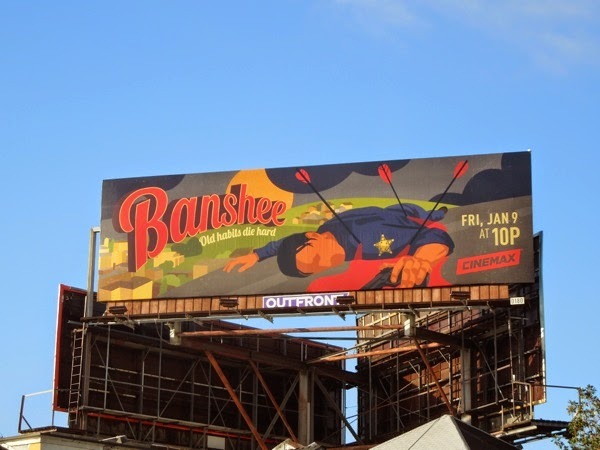 Old habits may die hard, but one TV series season promo billboards always stay thematically consistent and that's for Cinemax's Banshee. 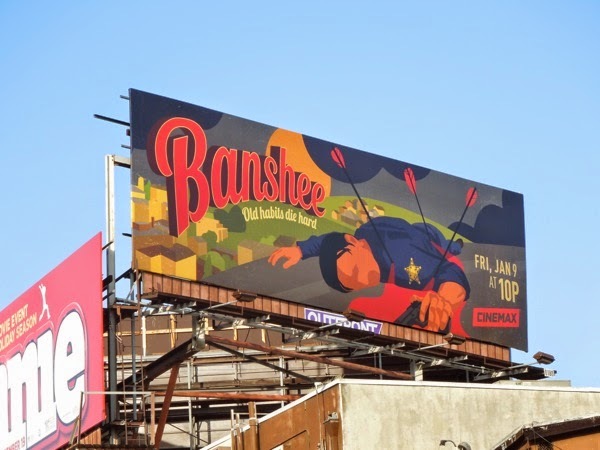 The original show starring Antony Starr as an ex-con who takes on the identity of a murdered sheriff in a small Amish town, has used this illustrated ad creative design each season to set itself apart from the other TV fare on offer. 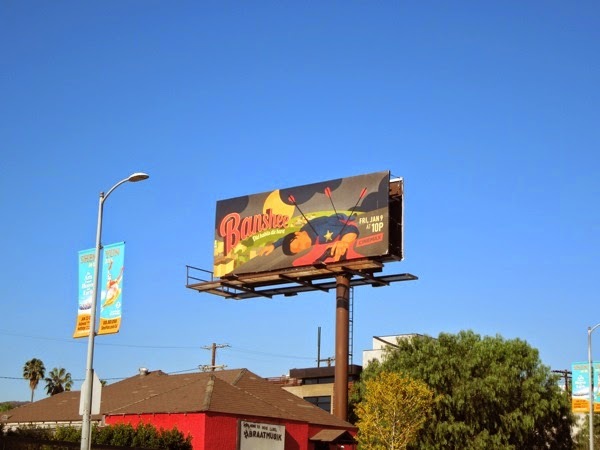 Each billboard has depicted some grisly murder or act of violence, with the latest it seems being death, or pretty severe injury, by arrow. 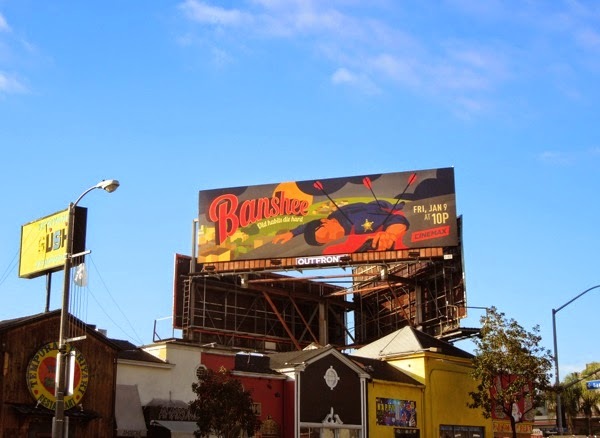 These season three billboards for the action thriller were snapped above West Hollywood's Sunset Strip on December 17, with a smaller ad version was spotted along Highland Avenue on December 22, 2014. 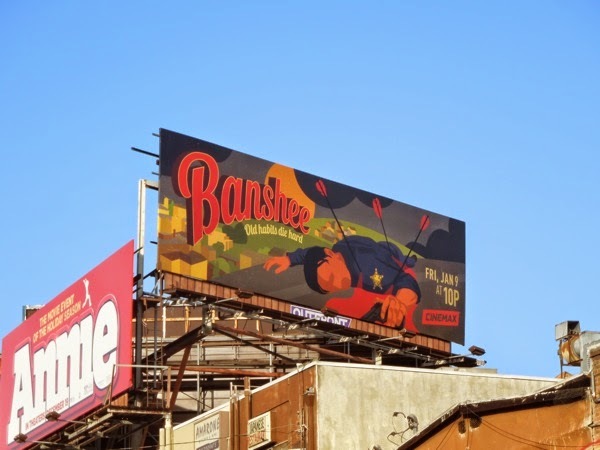 If you like this outdoor ad creative, be sure to compare this latest bloody offering to the Banshee season one billboard and Banshee season two billboard. 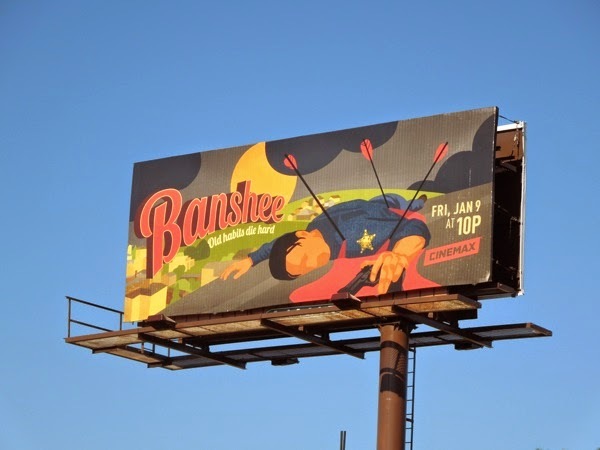 From the looks of things there's more bloodshed, bad luck and darkness coming to the town of Banshee this coming January. Why not pay it a visit? Just be sure to watch your back.